A festive Christmas mood always starts early when the lights in the city are on and when you start getting small treats. 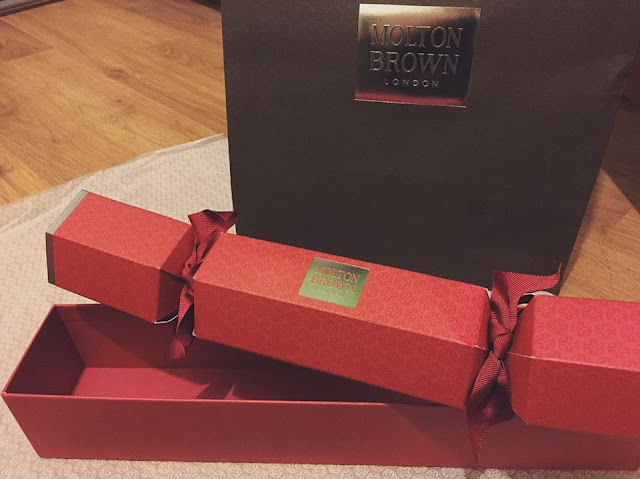 Just received a nicely pack Christmas cracker from Molton Brown and even more excited about the beautiful smell of travel size hand cream, shower gel and body lotion! The limited edition of a sweet and delicious smell of rhubarb and rose in a festive cracker can be found only in Molton Brown, the number one place for bath and body beauty products. This small treats makes a perfect gift for Christmas, especially when it is already wrapped in a festive cracker featuring the sweet blend packed little treats for your skins and senses. 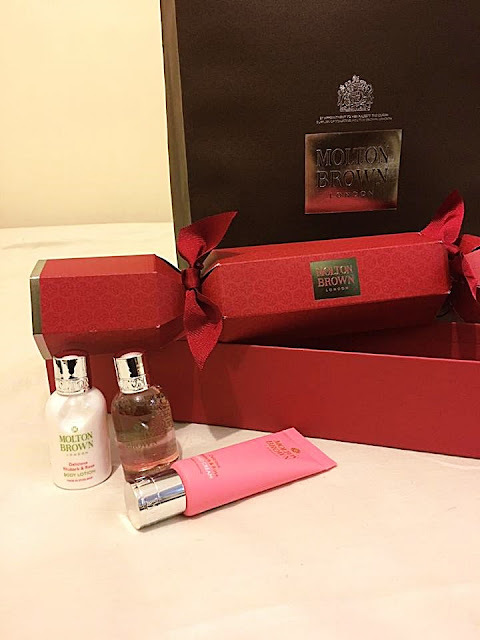 If you are not much into sweet taste, discover the variety of senses and blends what Molton Brown can offer!